It is suitable for steaming fish or any seafood, topping some vegetables of your choice for a hearty meal. With some amendment to the cooking suggestion, you can also cook our Malaysian Award Winning Laksa with really simple steps. Do refer to MyKuali’s Cookbook for detailed recipes. 1. Wash the fish and place it on a plate that is suitable for steaming. 2. Decorate cut tomatoes and ladies' fingers beside the fish. 3. 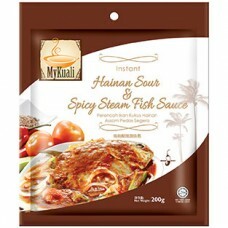 Mix "MyKuali Hainan Sour & Spicy Steam Fish Paste" with water and pour on top of fish, tomatoes and ladies' fingers. 4. Put the fish to steam for 15-20 minutes. 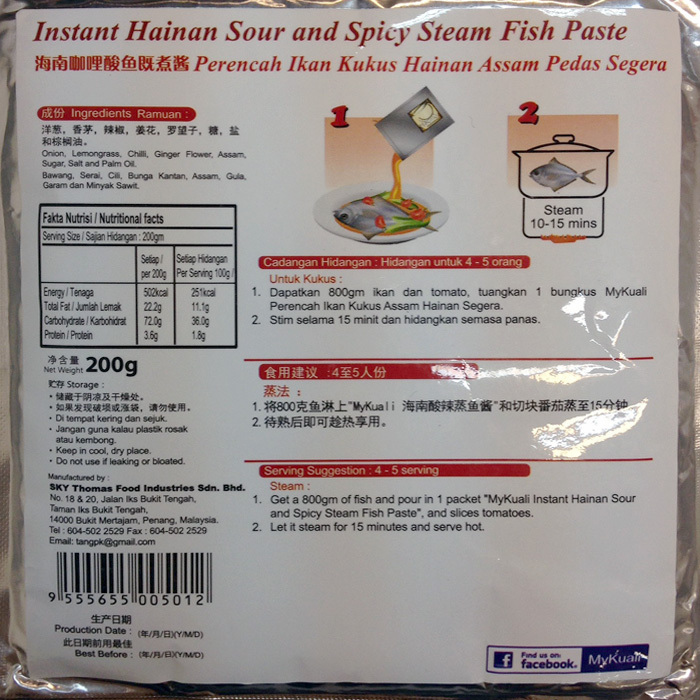 **May use other seafood ingredients such as prawns, clams, squids and etc. **May use other cooking methods such as BBQ and stir fry.